The cutest little spring time craft I’ve done in a while, so perfect for all ages and also teaches kids where our carrots come from. 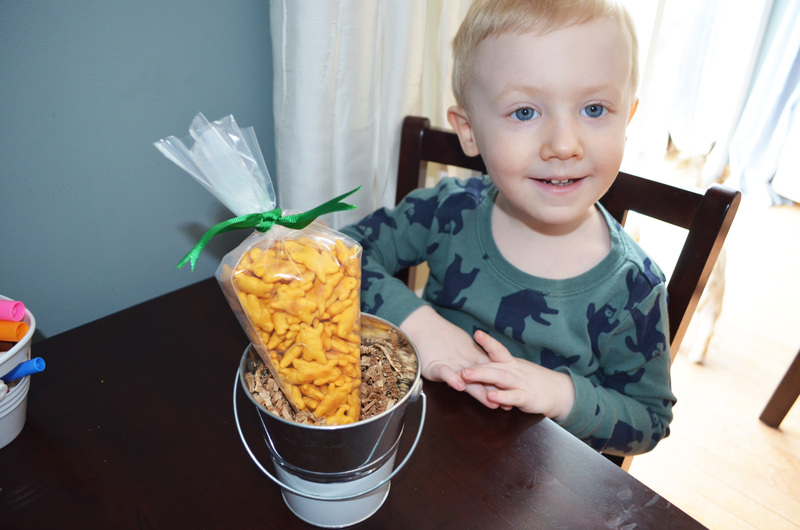 I was having a small get together this weekend at my house and wanted a simple non messy craft for the kids. Searching on pinterest I found the carrots and drove immediately to my local craft store to get the green ribbon and disposable pastry bags. On my way to the checkout at the front of the store I was passing by little buckets and then brown decorative filler, I had an idea! How cute would it be if they filled the buckets with dirt so they could pretend to pull their carrots from the ground. Well it was a huge hit with two little boys. Maxwell did not want to stop making the carrots so I had him fill two more for the babies that were over. 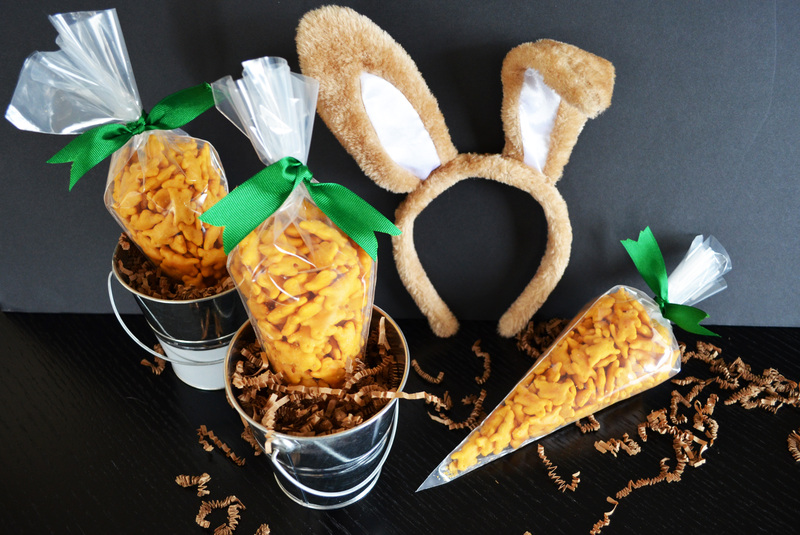 We filled our carrots with Annies cheddar bunnies which I thought was very appropriate for spring. The buckets came from the dollar section at Target. Great Easter craft to have your little one’s put together this Sunday and it doesn’t involve glue, paint or glitter. This is every moms favorite kind of craft with out a huge mess to clean. This craft can be done anytime of the year and used to teach kids about where our vegetables come from. 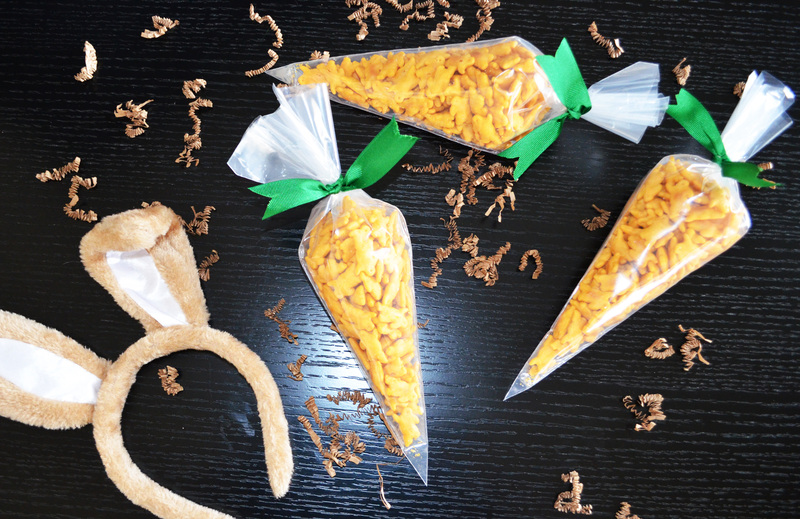 These carrot bags would also be a perfect for kids to make and bring to friends or share with classmates! Just have your little bunny get busy filling the pastry bags. Then hop on over and pass them along for everyone to enjoy! P.S. 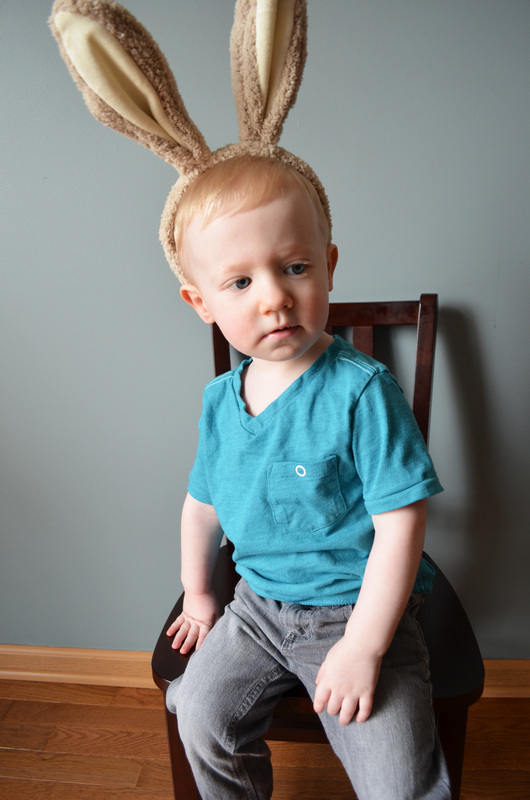 Bunny ears encouraged, but not required! Year two of making this carrot craft and he still loves it!!! « It’s always and never at the same time….